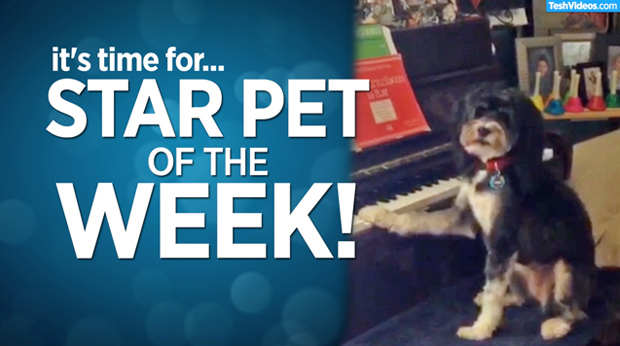 Scooby really wants his ‘Scooby Snack’… watch him play the piano. What a smart boy! Thank you for submitting the adorable Scooby video.Want your pet to be our next Star Pet Of The Week?Upload your adorable, quirky, lovable, funny pet videos to http://TeshVideos.com We’ll feature the best ones on https://Facebook.com/johntesh, https://Tesh.com, and Instagram each week!